PLEASE GIVE US A CALL WHENEVER YOU NEED A TOW TRUCK OR A TOWING SERVICE IN HUNTSVILLE. Accident Recovery – Wrecks and collisions happen with the most unwanted time – even if we give an extra care in driving. We can respond to the accident area in just a minute. Just give a call and let us know what assistance you’ll be needed and Huntsville Towing be right there immediately. We’ll take care of your vehicle without worrying the whole accident details. Off-Road Recovery – Off roads is a lot of fun but you get in too deep. Wherever you are we can help you Just call us and we can even get to you using GPS. IF we did not get to you immediately just wait a little time and the #1 towing service in Huntsville will definitely get into you. 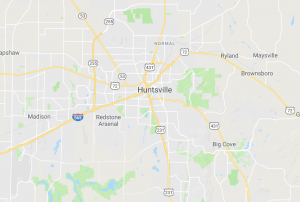 Huntsville Towing is a family owned and operated towing and roadside service company proudly serving Huntsville, AL and the surrounding Madison County area. Our trucks have become an icon on the streets of Huntsville. Our rates are competitive, though not always the least expensive, we are fully insured and licensed to operate within the city of Huntsville.